No matter what venue you choose, make sure you discuss weather back-up plans. These can be anything from rain delays where you wait it out, tents, or moving the entire ceremony/reception inside. At the Ice House we have multiple back up plans. If you are planning on having your ceremony or reception on our roof-top garden or outdoor terrace, we can always move it inside to our mezzanine or to the main hall. Most venues will have an indoor back-up plan as well, just be sure to ask them about it. Tents are always a good back-up plan, just know that with most companies they usually have a 24 hour notice policy to guarantee they have time to set the tent up properly. 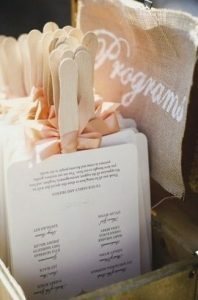 This is not always the case, of course it varies from vendor to vendor, but if the chances of rain on your wedding day are high it’s usually better to play it safe rather than sorry. However make sure to plan for the tent in your budget. It will be much easier on your stress level to have money left over instead of not enough money to pay for the tent. Rain is not the only weather issue, cold fronts and heat waves can play a major role in outdoor weddings as well. 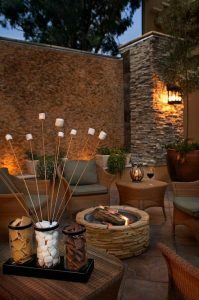 If that is the case there are always heaters, blankets, fans, misters, etc… Not only will the guest appreciate your efforts to keep them comfortable but there are plenty of ways you can work these items into your décor or theme. Pinterest will be your best friend for cases like this! 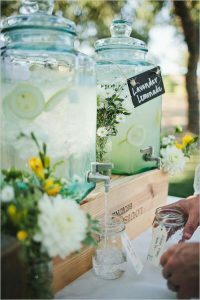 If it’s going to be a hot outdoor wedding these are just a few options to keep your guests comfortable and cool! 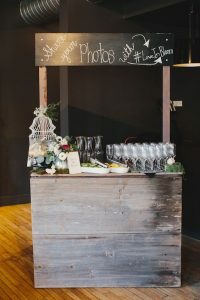 Fans make great programs/wedding favors, refreshment stands are a perfect option to keep your guests hydrated, and make for a great photo-op! 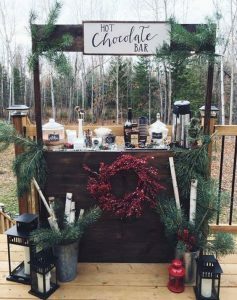 If you’re afraid it might get a little chilly depending on the time of year, there are plenty of options when it comes to keeping your guests warm. 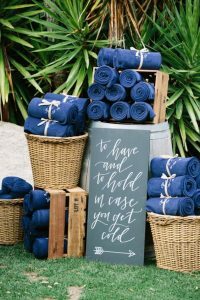 Such as: using blankets as your wedding favors, setting up a hot chocolate stand, or having a s’mores station set up around a fire pit!